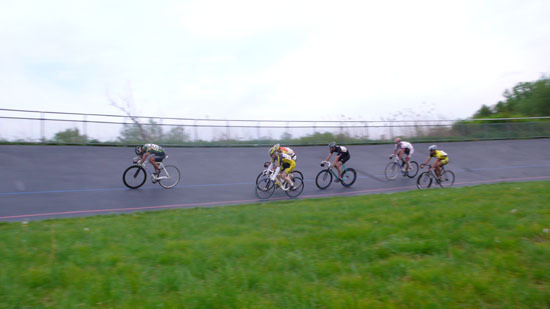 I race at Kissena velodrome this summer. 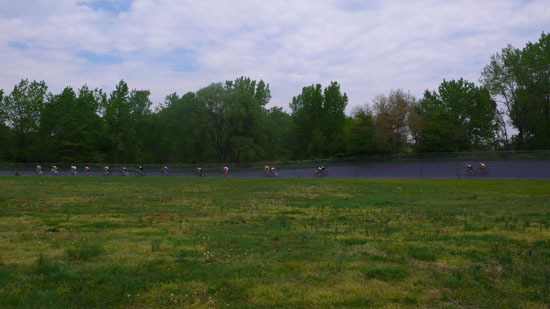 Kissena is NYC's only one velodrome. This is history of Kissena. I introduce my race bike. 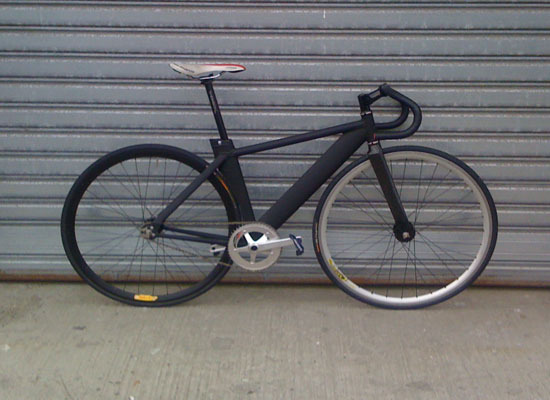 Frame is Tiemeyer, aluminum, it has huge sloping top tube. Leader carbon fork. Sram crank. Look predal. These wheels are for street, I use Vittoria Corsa Evo tubular tires with Mavic rim and Dura Ace hub. Gear ratio is 50 X 15, 90.0 inches, This is not big gear at track.